Make plans to boost your business networking success in 2014 with The Power Lunch Project! I’ll never forget the night I met serial entrepreneur Sara Rosenberg, founder of The Power Lunch Project. It was a dark, somewhat-stormy summer evening in suburban Cherry Hill (back in 2009). Sara was hosting a Reshet Jewish Business Networking Group event at the Holiday Inn on Route 70. I encountered some interesting people during my speed networking efforts that night, but the person who impressed me most was Sara. Flash forward to 2011, when our paths crossed again by way of the now-defunct (but fondly remembered) Yentas in Business networking group. By All Writes: Why did you decide to start The Power Lunch Project (TPLP)? When did you found/start it? 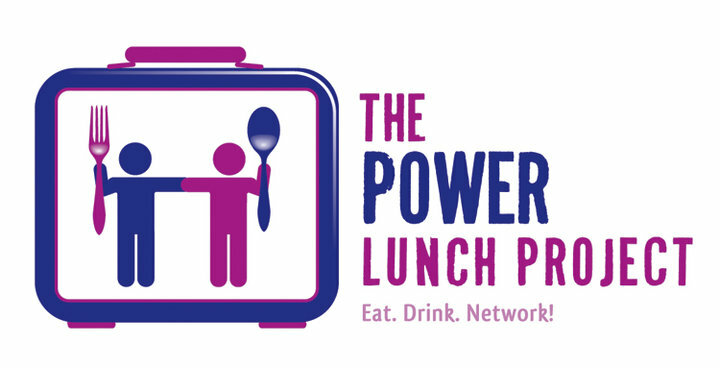 Sara Rosenberg: The Power Lunch Project was founded in 2011 for a simple and slightly selfish reason: I HATE networking events! There is something overwhelming and quite anxiety-inducing, at least to this introvert, about walking into a room full of people, most of whom are trying to sell me something. BAW: What professional business/networking services does TPLP offer its current and prospective members? SR: Our primary focus is making networking matches. Our participants tell us the types of professionals they would like to meet and network with, and then I get to work matching them up with other members they should meet. We then schedule a networking session (usually a group of three professionals) at a convenient date and location; the invitees show up for a chat over lunch or coffee. The results are usually fantastic – ideas for collaboration, sharing of contacts, brainstorming about how to help each other, and even great friendships. We also hold weekly CONNECTworking meetings in the following locations: King of Prussia, PA; Edison, NJ; and Haddonfield, NJ. Coming in 2014, we’ll launch CONNECTworking in Manayunk, PA, at The Transfer Station, an innovative resource center for entrepreneurial-minded people and artistic types. These “mastermind” groups are open to both members and nonmembers. CONNECTworking meetings provide attendees the opportunity to build relationships and trust. They can also reconnect with people they were previously matched up with and gain new business friends. BAW: Who make a good member/client for you? SR: Good members are those who are natural helpers and givers, or what I call “businophiles” – people who love to be around other businesspeople with tons of creative energy. Professionals striving to be better “networkers” or new business owners in search of a mentor are also welcome! BAW: What is your ultimate “happy moment” when working with TPLP members? Typically, I also receive “thanks so much for introducing us – we had a great meeting” emails on a regular basis, and I love getting them. BAW: If you could relocate The Power Lunch Project to anywhere in the world, where would you go and why? SR: I’m rather flexible. As long as I have my family, a good WiFi connection and access to some quiet coffee shops, I’m happy. Other than that, the next location TPLP is looking to conquer is the U.K. – I sense many opportunities for great networking “across the pond.” We want to get in on that! Isn’t it time you break through the networking clutter and establish more high-quality business alliances in 2014? Visit The Power Lunch Project online or email Sara Rosenberg at sara@thepowerlunchproject.com. For some quality voice time, call Sara at 1-215-480-7430.